Given that HTML5 is clearly the near-term future of web content display, we decided to implement HTML5 video support within our WebRenderer Swing Edition. This feature is implemented without any external plugins as an “built-in” feature that is entirely lightweight. 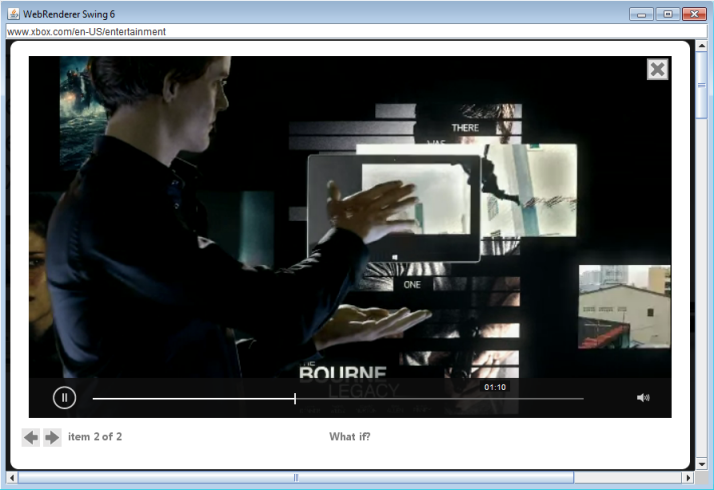 HTML5 video support is now enabled in our standard download and latest update package.